Bring in your TV or Computer for a Free Analysis. We'll call you with a cost effective repair estimate typically within 24 hrs. or less. Call to drop off your broken or non repairable Computers, Plasma and LCD TVs and have them recycled for free. We currently have a good selection of used and reconditioned TVs. Check them out here or come in and have a look. 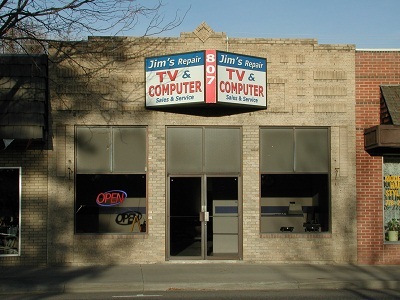 Our used computers have been gone through to make sure everything is operating correctly. Click here to check them out.